Writing this Mr Green review we quickly realised this was a serious casino and sports betting product. Licensed in Malta, Mr Green Casino & Sportsbook is one of the most well-known brands in some European countries. Boasting apps for both Android and Apple devices, Mr Green is definitely a gambling company to keep in mind when looking for somewhere to play casino or live games online. Creating a new account at Mr Green is very easy as long as you know that you are eligible to sign up at the casino. To get started visit https://mrgreen.com/ and click on the join now button. This will then prompt you to create your new account. This process only takes a matter of minutes, but be aware that you must include your real details, or you may not be able to verify your account, or withdraw any winnings. Mr Green casino sign up bonus: Mr Green gives new members of the casino who make their first deposit a 100% matched deposit bonus, up to the value of £100 and 200 Bonus Spins On deposit & wager of £20 or more. This means you can deposit £100 and have a total of $200, with £100 of this being a bonus. This offer is also available to those depositing in Euros. To view the Mr Green sign up bonus applicable to you, visit their geo-targeted landing page. Terms and Conditions: New players only. 18+. 35x wagering applies to Bonus Cash and Bonus Spins. Deposit of £20+ unlocks a 100% Match Bonus up to £100 in Bonus Cash, subsequent wager of £20+ on slots unlocks 100 Bonus Spins and 20 Bonus Spins per day over 5 days on selected games. BeGambleAware.org. Mr Green esports bonus: When you make your first esports bet of over £10 at Mr Green sports betting you will then receive a free £10 accumulator bet to use on esports. Terms and conditions: New players only. Qualifying bet(s) must have minimum odds of 4.0 and must be settled before triggering free bet. Free Bet must be used on an accumulator with 3 or more selections. 18+. First Deposit Bonus: First deposits are doubled up to a maximum of €100. What this means is if you make a first time deposit of €100, Mr Green Casino will double it to €200, giving you more cash to play with. This is a cashable bonus and can be paid when all wagering requirements have been met. Again your location may affect this bonus offer. For example players in the UK may receive a bonus of €250. Horse racing: Best odds guaranteed: Mr Green has a great thoroughbred racing promotion surrounding UK and Irish events where if your horse’s odds drift after you have placed your bet, you will get the best odds guaranteed. Terms & Conditions: Applies to UK & Ireland horse racing only. Eligible bets will have the “Best Odds Guaranteed” BOG icon displayed on the betslip before bet placement when logged in. Applies to bets struck on the same day as the race(s). Ante-Post bets, Enhanced Offers or Daily Racing Specials will not qualify for BOG. Full T’s and C’s apply. Mr Green runs an exclusive invite-only VIP program where high rollers and loyal customers can be wooed. Known as Mr Green Royale Club, the VIP program is available to punters in both Sweden and the United Kingdom. Basically once a member you will receive things like cash back and access to exclusive games and promotions. If Mr Green gives you the tap on the shoulder to become a member of the Royale Club it’s definitely worth your time. Mr Green is one of the premier online casinos in the world, with a great selection of real money games, plenty of deposit options and most importantly a homely feel. As soon as we signed up to review Mr Green we were offered a big bonus of free cash and spins which was a nice way to begin. But realistically what we want in an online casino is a good selection of games and a guarantee we are going to get paid when we win. The fact the online casino is powered by several of the biggest software development companies in the iGaming industry means they have a huge selection of real money slots and RNG games. These extend into progressive slots, video poker, table games and many, many more. Basically Mr Green’s games selection is like a land-based casinos but on steroids. Mr. Green Casino runs attractive casino tournaments and from time to time they try to mix it up. There might be more than one game featured in the tournament such as Blood Suckers, Fortune Teller, Roulette, Reel Steal, Bingo, Dead or Alive, Black Jack Professional, and Super Eighties. The winner of the tournament is generally the player with the highest tournament result or with the twenty best rounds. There is a leader board/scoreboard with a list of the current positions to allow you to see how you are progressing in the tournament. There are millions of €/$/£ on offer featuring a number of games for the progressive jackpots. Some of these games are: Cleopatra Mega Jackpots, Mega Fortune and Arabian Nights. There are smaller progressive jackpots on offer on: Icy Wonders, Super Lucky Frog, Tiki Wonders, Caribbean Stud Pro Series, Mega Joker, Keno, Bingo, Triple Wins, Fishy Fortune, Geisha Wonders, Golden Derby, The Glam Life, Treasure Room, Ghouls Gold, Chase the Cheese, Pharaoh King, The Ghouls, and Jackpot Jamba. Mr Green has its live games provided by leading software development company, Evolution Gaming, who have even branded up their tables so you will see the name of the casino. It is kind of surprising Playtech has not supplied any of the games given they are also under the William Hill ownership. Having said this there is every type of live casino games you can think of at Mr Green, including blackjack, roulette, baccarat, poker variants and a unique Monopoly game. Mr Green uses multiple software providers and as one of the bigger online casinos they also have their own modified live dealer tables — with these powered by Evolution Gaming. Mr Green sports betting offering is definitely serviceable and a has plenty of markets for both UK and International punters. These include 1000s of daily football markets (EPL, La Liga etc), major basketball leagues like the NBA and basically every sport you can think of. At the time of writing this Mr Green review we counted over 100 different sports with markets. Another highlight of the sports betting section of the website is that it features UK horse racing. Having said this, if you are expecting it to be at the level of one of the big UK online bookies you will be disappointed. Mr Green’s odds are definitely competitive with other online betting sites, but you won’t find the depth of odds on each individual game or event. Basically you will find a head to head market which is usually comparable to other betting sites. If you base where you bet purely on the odds, definitely give Mr Green a look, because we have found a few juicy prices. Mr Green is heavily focussing on football from around the world, which is understandable given its roots in Sweden, other places in Europe and the United Kingdom. Having said this there are plenty more sports and racing events covered by this book. Mr Green’s mobile product is a mixed bag in 2019, although we are told there is significant work into going into approving the apps, which they have available to players in regulated market. If you are on a smartphone or tablet these are the options you have to play online casino games at Mr Green. Mr Green Mobile website: This is one of the easiest and quickest ways to get started at Mr Green, with it as simple as visiting https://www.mrgreen.com/ and creating a new account on your mobile device. Like most mobile gambling products, it does feature less games than the desktop computer, but overall this is definitely a great way to play. Mr Green Android App: The Mr Green Android app is available as a direct download from Mr Green and will install on your smartphone or tablet. To get started open a new account at Mr Green and follow the prompts, when on your Android device, to download the app. Mr Green iOS App: The Mr Green iOS app is only available to those who have an Apple phone and are in a country with regulated gambling (where Mr Green holds a license). Is not as commonly available globally as the Android App. NB: The World Gambling List has received reports of the Mr Green apps being slow and glitchy at the beginning of 2019, so we recommend playing on the mobile website, until further notice. Mr Green has many deposit options available to players with these including region-specific methods. After you have visited the Mr Green banking section you will see the ways you can fund your account. The ways that you see will depend on your locations. When making a withdrawal at Mr Green you must make it with the same method as you made your deposit. If this is not available you must withdraw back to your registered Mr Green bank account. Depending on where you are in the world you may attract a small fee for withdrawing from Mr Green, with this either being a fixed amount or a 1 per cent cut of whatever you are withdrawing. These fees are capped at a certain amount depending on your currency. If you are required to verify your account at Mr Green they will send you an email, which is very likely, particularly if you in the United Kingdom, where the Know Your Customer verification process is compulsory. You will be required to provide something to prove your identity, proof of address and often, also proof of the payment method you used to fund your account which could be as simple as a screenshot of your online banking. Rest assured it is pretty clear in the email they will send you what you require to verify your Mr Green account. Part of the MRG Group, Mr Green is the biggest of the company’s brands and the flagship product.  Launched in 2008 in Sweden, Mr Green has quickly become a prime product and garnered plenty of awards, which has seen it quickly move into 13 different markets. MRG’s CEO is Jesper Kärrbrink who heads up their team in Malta where all the company’s operations are taken care, with this largely because they operate off a Malta Gaming Authority license, meaning they must have a base in this country. Because MRG Group was listed on the Nasdaq Stockholm since late 2016, the company has an exemplary record with its customer care and problem gambling record. It’s always a good sign when a casino is listed and has more than just a management team to answer to. On February 15, 2019, it was announced Mr Green was being delisted from the Nasdaq Stockholm, which followed William HIll’s successful purchase of the company earlier in the year. The company also has a tech arm, Mr Green Technology AB, which is in Stockholm and houses more than 100 developers. This part of the team is charged with making sure the casino runs smoothly and, of course, to continue to develop the gambling products under the MRG brand. Overall MRG has seven brands with this including websites with iGaming, casino, poker, sports betting, lottery and bingo. Mr Green is also credited with being one of the first online casinos to provide a “sleepless gaming website”, meaning it draws on software companies from all over the world, and that it doesn’t shut down because the dealer’s are going to bed. The future looks rosy for Mr Green following the successful takeover from William Hill, which is one of the most well-known gambling companies in the world and one of most iconic British companies. Mr Green holds multiple licenses which allows them to operate in various countries legally. The company also accepts punters from many other countries where offshore online casinos and betting sites are not banned. MGA: LGA/CL1/521/2008 (Issued January 6th, January 2010, renewed January 5th, 2015), LGA/CL1/772/2011 (Issued the March 21st, 2012) and LGA/CL1/869/2013 (Issued July 19th, 2013). UK Gambling Commission Our License Number is 000-039264-R-319432-008. Mr. Green casino has a 24 hours email communication where players can have all their questions answered. If your mail is sent between 8.30 and 12pm, an immediate response can be expected in the majority of cases. It may be possible to contact them by phone as they ask for your phone number along with your email address. This MrGreen.com review was a pleasure to write with the gambling company having enough heat under its hood to keep even the keenest gamblers busy for hours. The fact there are 100s of slots and many of the best table games in live format means this casino stacks up well against the best of them. However if you are looking for sports betting product Mr Green is probably not the best, unless you are in a place like Sweden where the other options are all very similar.